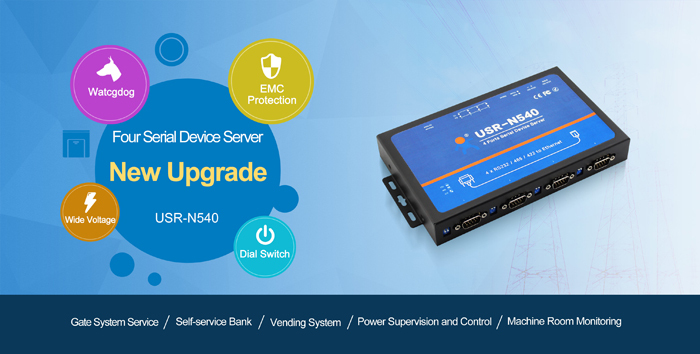 USR-N540, a four serial device server, can realize transparent transmission between TCP/UDP data package and RS232/RS485/RS422 interface. 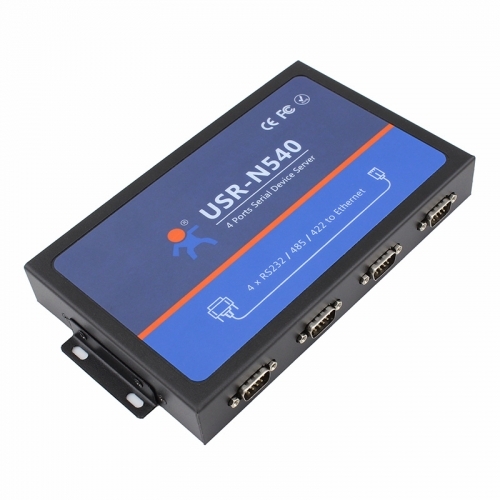 The serial device server, based on ARM processor, is of low power, rapid speed and high stability. And N540 is internally integrated with TCP/IP protocol. 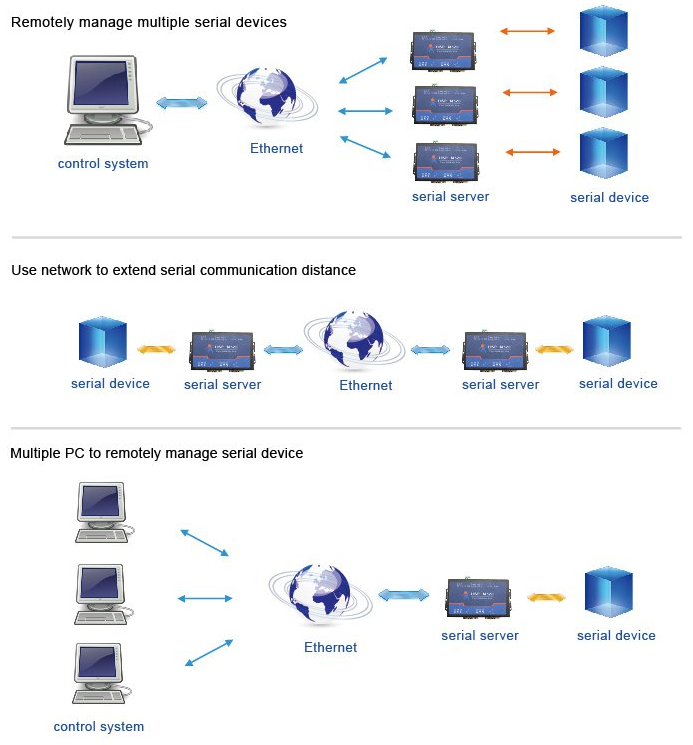 User can easily realize embedded device networking.